Margaret of Valois was the Queen of France during the late 16th century. This biography of Margaret profiles her childhood, life, reign, works and timeline. Margaret of Valois was the Queen of France during the late 16th century. 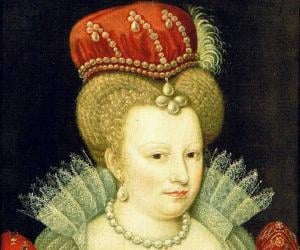 She was the daughter of King Henry II of France and the infamous Queen Catherine de' Medici. Her three brothers Francis II, Charles IX and Henry III were all future kings of France and her sister Elizabeth was the Queen of Spain. She had a strained relationship with her brothers Charles IX and Henry III. Her father married her to Protestant Henry de Bourbon, her distant cousin and the King of Navarre. Though the marriage was sealed to ensure peace between Protestants and Catholics, history witnessed the massacre of Protestants, that started after six days of the marriage on the ‘St. Bartholomew’s Day’. 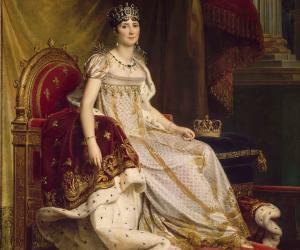 She played a secondary role in the ‘French Wars of Religion’. She was pawned in several political manipulations and was even imprisoned by her brother King Henry III and subsequently by her husband King Henry IV for 18 years. Following the death of her brothers and in the absence of any direct heir, the King of Navarre succeeded the throne of France and became King Henry IV, thus she became the Queen of France. Marguerite de Valois, the last member of the ‘House of Valois’ was known for her beauty, licentiousness, intelligence, sense of style and her ‘Memoires’ that hold a vivid recollection of France during that period. 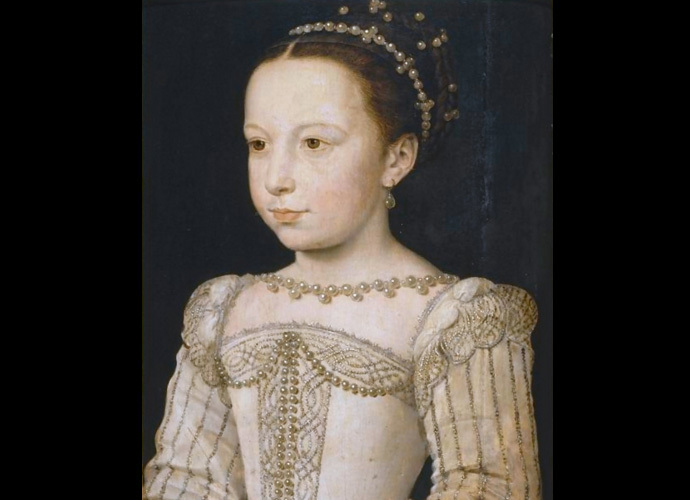 Margaret was born Marguerite de Valois on May 14, 1553, in the royal family of Henry II and his manipulative wife Catherine de' Medici as their sixth child and third daughter among seven children. Her three brothers Francis II, Charles IX and Henry III were all future kings of France and her sister Elizabeth, being the third wife of King Philip II of Spain, was the Queen of Spain. Marguerite de Valois was married by her parents to her distant cousin King Henry of Navarre on August 18, 1572 at Notre Dame Cathedral in Paris as a political alliance to initiate peace between the Catholics and Protestants. 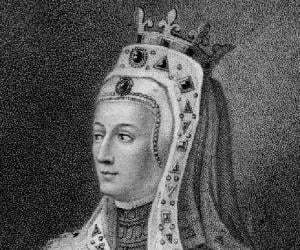 Queen Jeanne III, Mother of Henry, who staunchly opposed the wedding, died of mysterious circumstances before the marriage. Though never proved, it was rumoured that Catherine de' Medici, who had knowledge of poison and was also known for her use of it, might had a hand in the mysterious incident. The marriage that took place in the Catholic dominated Paris was attended by several eminent and wealthy Protestants. The more sinister motive of the alliance was exposed after six days of the wedding when mob violence was instigated by Roman Catholic factions and also supposedly by Catherine de' Medici on ‘St. Bartholomew’s Day’. The incident that later became known as ‘Bartholomew's Day Massacre’ witnessed killing of thousands of Protestants (Huguenots) by the assassins. Prominent Protestant leaders were assassinated including Admiral Gaspard de Coligny. It is presumed that Charles IX under the influence of his mother Catherine de' Medici reluctantly passed the order for such assassinations. During the massacre, Marguerite de Valois played a prominent role of saving the lives of many eminent Protestants including her husband Henry by hiding them in her rooms and denying access to the assassins. As an aftermath of the incident, Henry of Navarre had to pretend converting as a Roman Catholic. He was imprisoned for over three years before he could escape to Paris in 1576 leaving Marguerite behind. Marguerite was later permitted to join her husband and the couple lived in Pau for three and a half years. Though they had mutual respect for each other they often quarrelled and indulged into other open relationships. In 1582, following her illness she moved to the court of her brother Henry III. Soon her reputation scandalised Henry III who then ordered her to leave his court. Though permitted to return to Navarre following several negotiations, she did not receive a warm welcome even there. She executed a coup d'etat and took control over Agen but after a few months faced revolt from the citizenry of Agen and fled to Carlat. 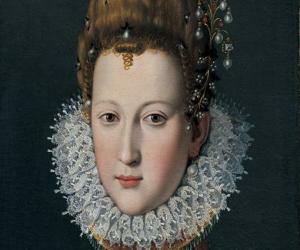 In 1586, she was taken over as state prisoner by her brother Henry III and later became prisoner in exile under the rule of her husband Henry IV who by that time had divorced her. She was imprisoned in the Auvergne in the castle of Usson for eighteen years. She utilised her imprisonment by penning down her memoirs, a collection of short stories that included her husband’s strained relationship and disputes with her brothers Charles IX and Henry III. The memoirs, published posthumously in 1628 were reckoned as one of 16th century’s best literary works. Following the death of her brothers and in the absence of any direct heir, the King of Navarre succeeded the throne of France and became King Henry IV in 1589, thus she became the Queen of France. The marriage of the couple was nullified in 1599 though she was permitted to retain the title of queen according to an agreement. Marguerite lived in ‘Hostel de la Reyne Margueritte’ situated on the left bank of Seine. She returned to Paris after reconciling with Henry IV and Marie de' Medici, his second wife and often nurtured their children. She devoted her time for the benefit of the poor, became a mentor of arts and also kept herself engaged in planning different events at the court. She had a romantic association with Henry of Guise. Since Catherine de' Medici had a longstanding power struggle with the ‘House of Guise’, she would not let them have any chance to control France. Thus Marguerite met with severe opposition from her parents. Her mother often used her as a political pawn. Catherine de' Medici’s initiative to arrange a marriage between Marguerite and Don Carlos, son of King Philip II failed. Her mother also tried to negotiate her marriage with King Sebastian of Portugal. Thereafter, her parents negotiated her marriage with distant cousin King Henry of Navarre on August 18, 1572 at Notre Dame Cathedral in Paris as a political alliance to initiate peace between the Catholics and Protestants. Though the couple had mutual respect and admiration for each other they often quarrelled and both had open extra-marital affairs. Their marriage was annulled in 1599. On March 27, 1615 she died in ‘Hostel de la Reyne Margueritte’. She was buried in ‘Basilica of St. Denis’ but the casket went missing probably during on-going work at the chapel or met with destruction at the time of the ‘French Revolution’. She has been an inspiration and subject of many novelists and movie makers including Shakespeare whose comedy ‘Love’s Labour’s Lost’ portrays a reflection of her reconciliation with husband Henry.